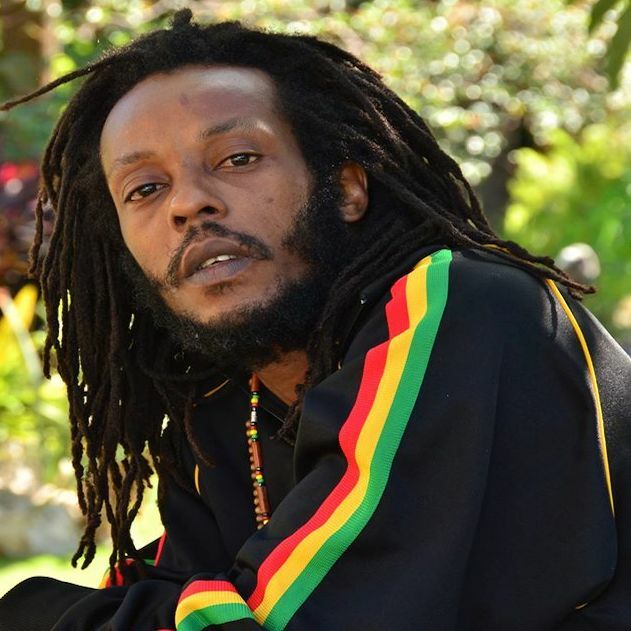 Ultra-talented Free People Entertainment recording artiste Droop Lion has emerged as one of the leading voices of a new reggae-soul movement in reggae. Known for his breakout hit, ‘Freeway’, he is revolutionising reggae music with his soul-searing voice, inspirational songs, and awe-inspiring live performances. Born in the parish of St. Mary Jamaica, Andrew Brown aka Droop Lion grew up in the tough, gritty shanties of Kingston. He lost his mother to gun violence when he was just nine months old. He turned to music to express himself and make a spiritual connection with the universe. At a young age under the guidance of his grandmother, he vowed to stick to the conscious path and not compromise in order to achieve success. “My music is down to earth and cultural. There’s always a message in it. It’s like a medicine to society’s sickness,” Droop Lion says of his particular brand of music. While attending Port Maria Comprehensive High, he says he would always seize the opportunity to perform at school concerts and community events. He would also use his spare time to visit recording studios “to build a vibe around what he loved”. After leaving high school, Droop Lion met artiste Mallory Williams who introduced him to musician Secretes Small. He returned to Tower Hill, in Olympic Gardens where his mother had died in the political violence that gripped the nation in 1980. “After leaving high school, I came back to Kingston where the stronger part of my family de, my auntie, and my uncles and that is Olympic Gardens, my father come from Waterhouse, mi come from this region. Due to how I was young when my mother died, it didn’t have a big effect of me that way in violent, negative manner, mi find out say mi more spiritually sound, mi calm and love, mi can’t take the wickedness and violence,” he said. Under his guidance, Droop started recording in 1998 under the name Droop Dog. Success eluded him, but he kept putting out positive records. On the advice of a radio announcer who demanded a name change which she thought was reflective of the fiery passions she saw buried deep in him, he changed his monicker, transforming from a dog to a lion. Not long afterward, his music began to take on a new resonance, as Droop Lion began to turn his considerable writing skills towards social commentary. He did poignant brilliant songs such as Mama Soon Come Back, a song he wrote about the mother he never knew, and the powerful ‘Freeway’ which was inspired by the cataclysmic Tivoli Gardens incursion in 2010 where over 70 persons were killed. The constant gun violence and macho street theatre that dominate the nation’s newspapers and electronic media coverage an issue that is close to Droop Lion’s heart, especially since that sort of violence has touched his life intimately. “Freeway is not just about the atrocity and the deaths in Tivoli Gardens though….it’s about all the senseless killings in this world, the whole thing is complex, I want to stop bloodshed, I want to cut out the political friction that causes atrocities, mi see what violence can break down a family…that’s why mi tek the Freeway,” he continued. Freeway dominated FM radio for several months in 2012. With the independent Free People Entertainment driving his career, Droop Lion is poised for great things in the future. Another single, which is now receiving some love on the airwaves is, ‘Pray for Them’, a song he says he penned after a flood a few years ago, which saw two men being washed away in the Sandy Gully. For Droop Lion, who pens all his lyrics, he is not short on inspiration as “it’s all around”. “I just pray that Jah keeps me balanced so that I can always sing some inspiring songs for people…I want to give solutions to the people, ” he concluded. Other standout songs include Lockdown, a song of protest against police brutality, and ‘Long Way Down’, a critique of the intelligent political leaders who have failed the nation with their corrupt policies and greed, and the terrible choices that poverty often forces on the downtrodden and deprived. Highly underrated artist but that doesn’t compromise his commitment to conscious music.